Jason Sheets has been working hard back at his shop in Maryland on his Born-Free 6 bike. You probably remember his clean Harley VL he built for Born-Free 5 that was also the bike that got picked by the lucky ticket holder! Well, the panhead that Jason is building now is shaping up nicely. He’s heavily modified another VL frame to fit the OHV motor and four speed trans. As a machinist and fabricator, he’s naturally making a lot of parts to suit this one-off build like the oil and gas tanks. The cases are fully polished and there’s a clean, extended K-model frontend giving this bike a great look. You could have your shot of picking this bike (or 12 others!) June 28th or June 29th at Born-Free 6 if your lucky number gets pulled! CLICK HERE to get your BF6 poster/ticket combos and remember if you buy two or more in one transaction between now and March 22 you are also entered to win a rebuilt ’52 Panhead engine!! You can follow Jason on Instagram HERE. 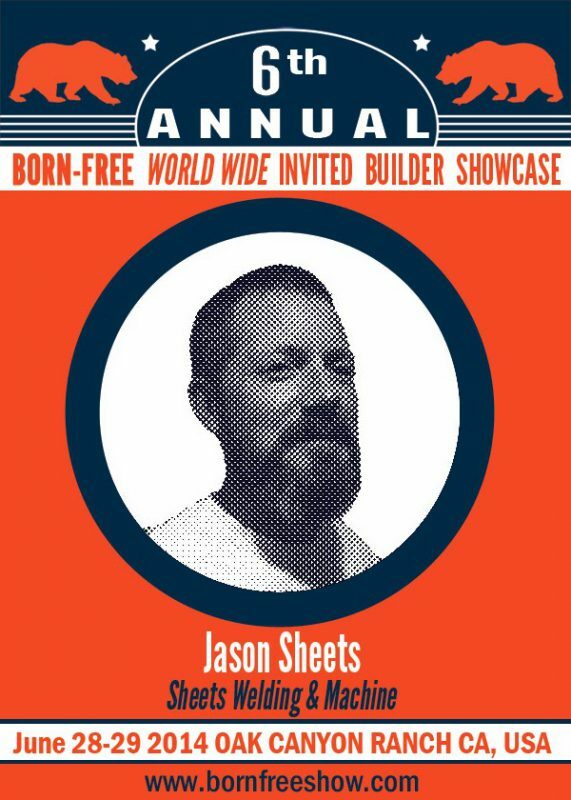 This entry was posted in Uncategorized and tagged bf6, Born free 6, Born free 6 invited builder, Harley Davidson, Jason sheets, panhead, win this bike.